Sorobon, at Lac, is one of Bonaire’s treasures. Sorobon, on the east side, offers a beautiful beach area located within a large protected bay. The various beach areas are enjoyed by Bonaire’s sunbathers and water enthusiasts of all ages. Bonaire, as the license plate reads is a “diver’s paradise” but it has also become world famous for windsurfing! Sorobon’s combination of continual winds, weather, sunshine and warm shallow waters make for the most idyllic of windsurfing conditions. Bonaire has been recognized as one of the best places in the world to windsurf for novice through professional levels. Additionally, Bonaire’s champions continue to rank high in world competitions. 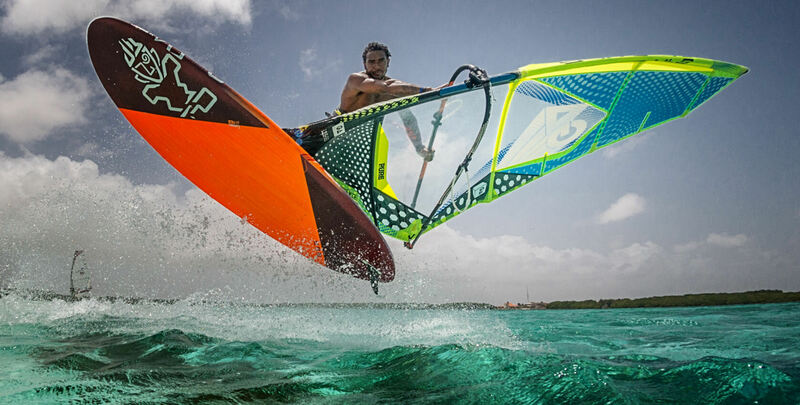 Bonaire’s award-winning and champion windsurf professionals are among the best in the sport. Bonaire’s winning team practices regularly and attends various international competitions. In addition, several competitions are hosted on Bonaire with local and international competitors attending. The Windsurfing Professionals at Sorobon offer classes and clinics for children and adults. Services in the area include food, refreshments, restrooms and nearby accommodations. Don’t forget to bring or purchase a Nature Tag. Check out: Children of the wind (The Movie) about our Rising Stars on Bonaire!